Autumn is here. The heat of summer is gone and there’s a chill on the breeze. Tree leaves are changing colors with some even falling to the ground already. Taking a walk in the park we saw lots of asters and goldenrods in bloom this past week. The Touch-Me-Nots and Thoroughworts were still flowering but not for much longer. Near the edge of the road and tucked behind a large purple-flowering aster was this late summer blooming plant I’ve never seen before. It had large flowers compared to the aster. Each stem of the plant, or perhaps it was a small grouping of plants, was topped with a cluster of flower buds and the lowest of them open. 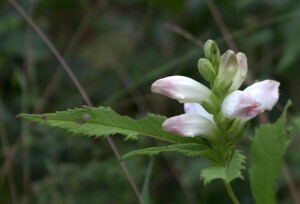 The flowers were white and some of them tinged with pink at the tips. Each blossom appeared to have only two large petals with the top petal arching over the lower one. A sideways view shows how this plant apparently got its name, “Turtlehead”. Turtlehead, Chelone glabra, is a member of the Snapdragon Family, Scrophulariaceae, and native to the Eastern United States and Canada. If the road crews aren’t too aggressive, we should be able to see this native plant next year as it’s a perennial. The lance-shaped, toothed leaves are oppositely arranged on the stems. They must be quite tasty to insects judging by the number of leaves with holes and half-eaten ones. 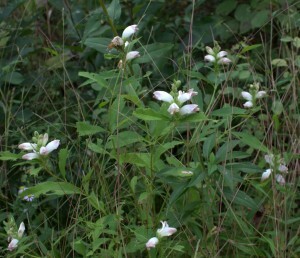 The whole plant is smooth from the stems and leaves to the flowers; it rises 2-3 ft. tall. We should be able to find more White Turtleheads growing in damp, moist areas of wetlands, near springs or seeps, and areas adjacent to rivers. 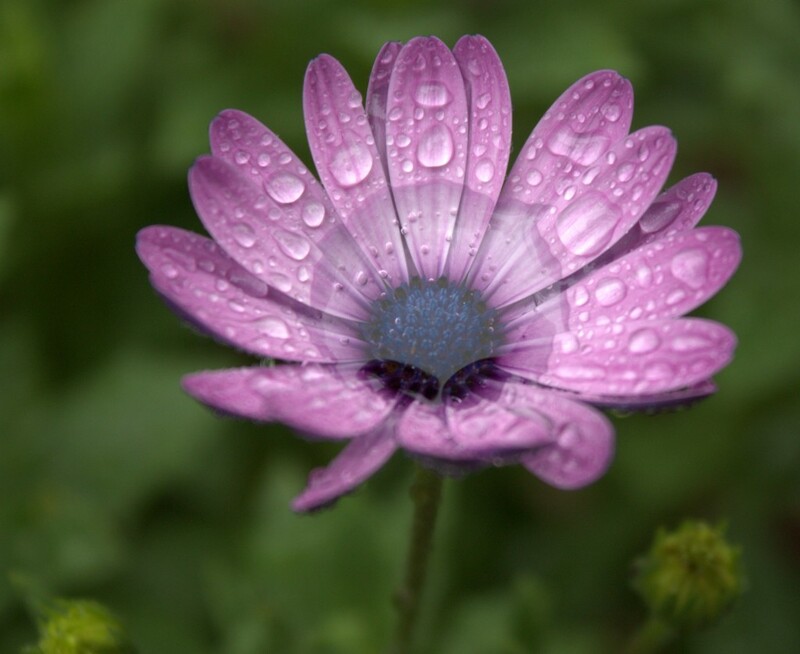 It can be a nice addition to gardens if kept watered well and grown in partial shade. Blooming period is late summer into fall. Photos taken 19 September 2015 at Little Buffalo State Park, Newport, PA.
A walk in the park took us through a section of trees that were left standing next to the river. 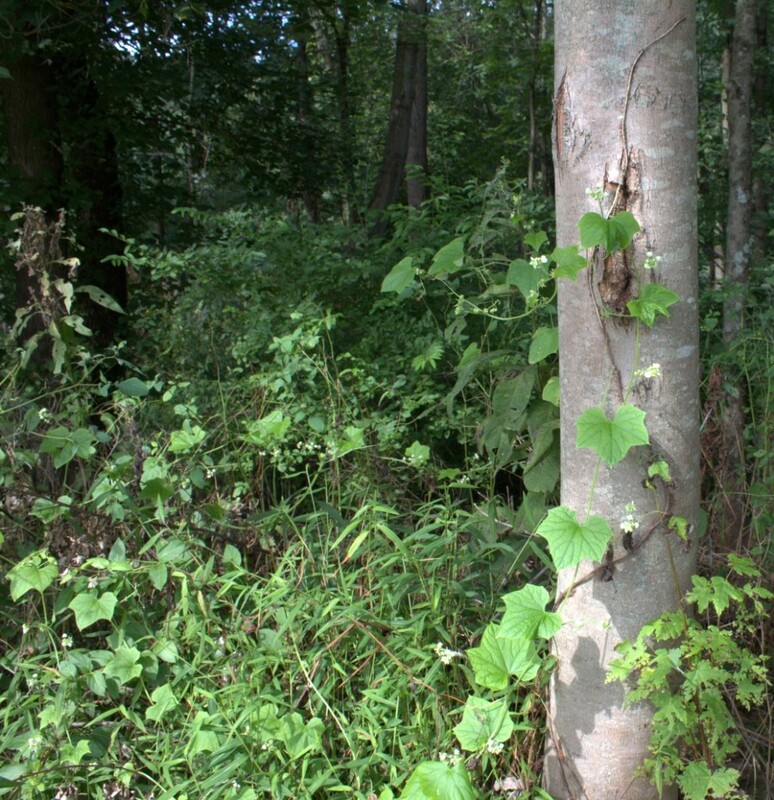 The trail followed the river and at a clearing there was this flowering vine that held fast to a tree trunk. This vine was growing in an area at the edge of woods where it received partial sunlight, morning sun for sure. The vine snaked through the grass, scrambled over some weeds about knee-high, and then climbed up a tree for a few feet. Curly tendrils helped the long plant fasten itself to vegetation as it grew. Several small white flowers were grouped together each with five broad petals that gave each blossom a star-like appearance. Cowslip, whatever it desired to know. son, with whom we emigrated. valley where they were born.
" I was ever watching and nursing them. ger, and the keen wintry cold passed away. voyage where my poor little one perished." son it is visited as a sort of sacred place. part, she had something else to do. The emigrant daisy shares her knowledge of the world with her neighbors, so in a way she was teaching them about new lands and places that they had never witnessed. The properties of sage that promote well-being and a healthy mind and body are said to be many, including desirable anti-inflammatory and anti-microbial properties. The silly dandelion scoffed at them who would share their stories thinking them loud and obnoxious show-offs. That is, until the sage put the yellow slanderous flower in her place. She simply didn’t know what she was talking about, yet complained just the same. Knowledge gives us better and higher thoughts to think! Come back next Friday for the next installment in our series of flower poems from Mrs. Sigourney’s The Voice of Flowers, “Spring Blossoms to the Mourner”. 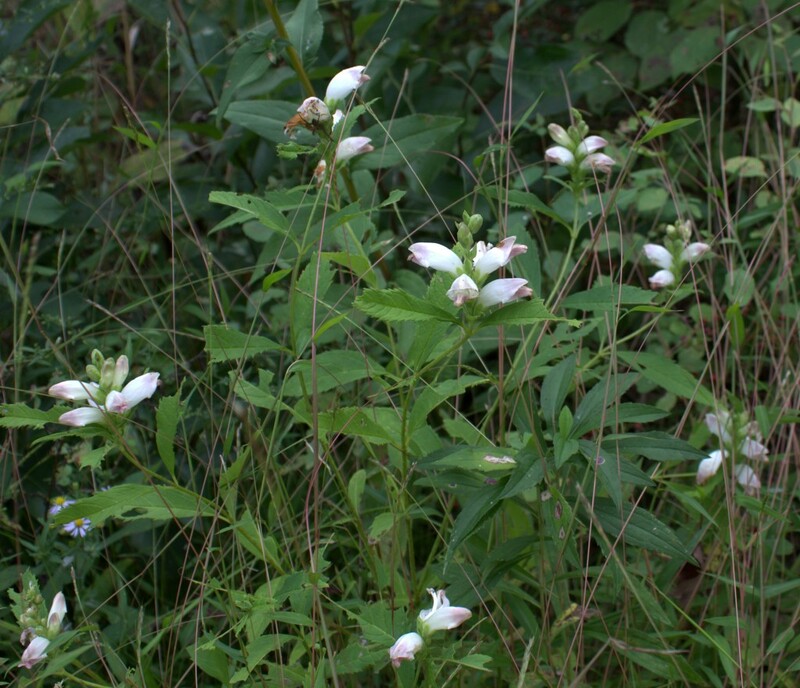 Along roads and in culverts, especially near a little shade, grow these strange-looking flowers that appear sort of like a trumpet with parted lips on one end and a curly tail on the opposite end. Their red-spotted orange or yellow flowers invite bees of all kinds and would be excellent additions to gardens where tall plants are desired. 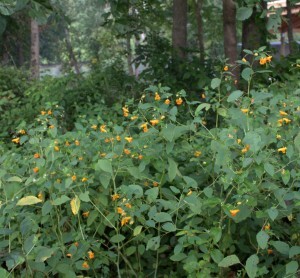 Growing 3 to 5 feet tall, they often tip to the side with windy or rainy weather. Note: If you’re gardening with these Native American Impatiens, you might want to use some type of garden stake to keep them held high. 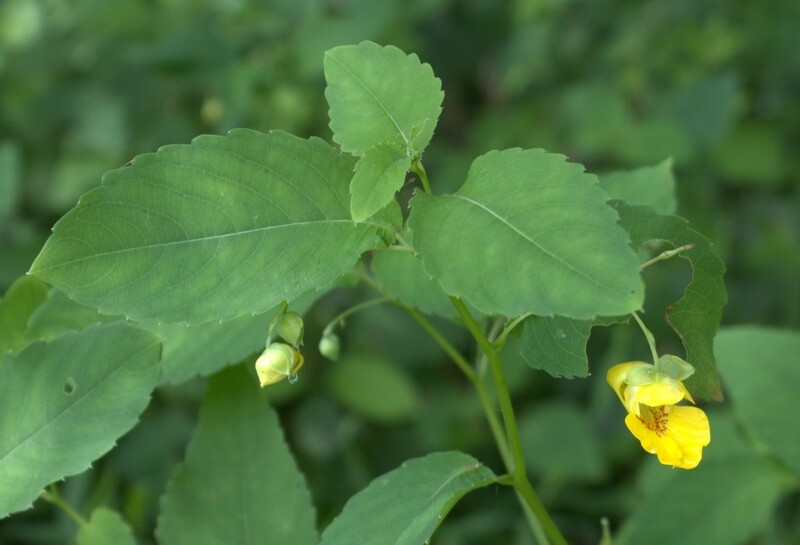 The two plants are closely related species of Impatiens referred to as Jewelweeds or Touch-Me-Nots. 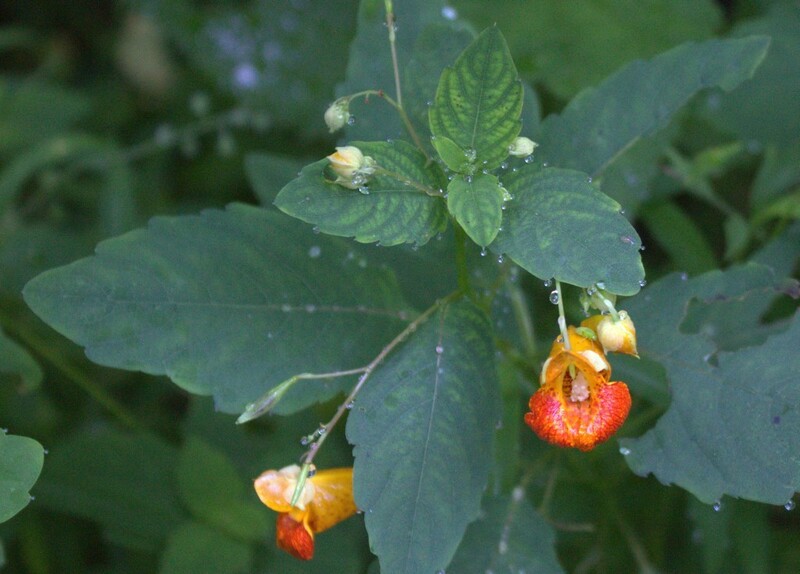 The orange-flowered Jewelweed, Impatiens capensis, is called Spotted Touch-Me-Not. It’s yellow-flowering cousin, I. pallida, is called Pale Touch-Me-Not. 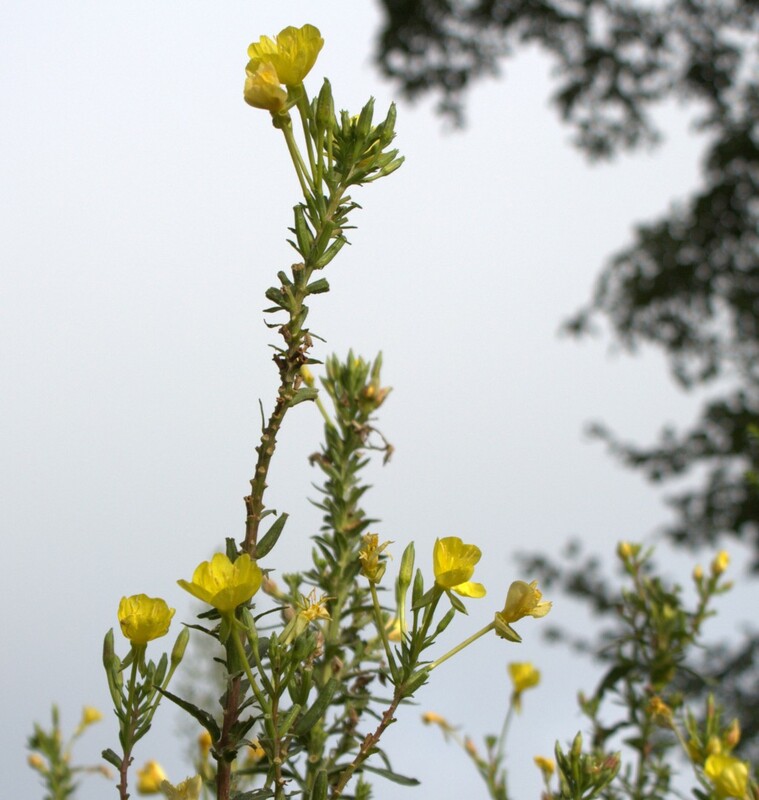 The plants are very similar except for the different flower colors and that the paler, yellow one has a shorter spur at the end of the tubular flower. The Jewelweeds start flowering in July and may bloom to October. A grouping of mostly the orange flowers had a few yellow flowers mixed in the bunch at Millerstown Park, which is adjacent to the Juniata River. They were in a partially shaded area growing under a small grouping of oak trees. We usually see pure stands of one species or the other. This is the first time I’ve witnessed both kinds flowering side-by-side and I’m wondering if that isn’t typical. Anybody care to share their blooming observations on these odd flowers? A western home with me. Strong waves and awful icebergs frowned. From whence our fathers came. ellers, where King John signed the Magna Charta in 1215. So, I wonder how many daisies could be left at the spot where this one was plucked from? Well, as long as some roots remained it’s safe to say there could still be a daisy or two growing in England. It makes me think of my Mom telling us to “leave some for the next guy” whenever we picked flowers or picked up rocks. Sure, it would make things easier for her not to carry all that stuff in her purse, but the words were meant to practice frugality. And sharing. Taking the daisy to her new home across the seas sounds like something a lot of people would do. Indeed, many of the roadside weeds came to be in this country at the hands of emigrants hoping to establish their favorite garden plants in their new places. Come back next Friday for the next installment in our series of flower poems from Mrs. Sigourney’s The Voice of Flowers, “The Travelled Flower”. Flowers are all around us and we see them blooming in the daylight where ever we go. Pollinators like bees, wasps, ants, butterflies and birds visit them helping our flowered friends make their seeds for sprouting of the next generation. Most flowers are open during the day and pollinated by daytime visitors. Leave it to Mother Nature to throw a few exceptions to the rule. Evening primrose is one of the exceptions as its flowers open up at twilight. Weird, right? Four pale yellow petals are large and together form a cup-like flower during the day. At twilight the flowers are wide open. 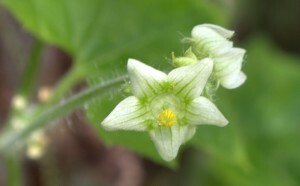 The petals have wide shallow notches so that they look a little like hearts. If you watched one long enough in the morning, you’d be able to see the petals fold in toward the center of the flower as it closes up. Each blossom only lasts for one night. They open up at twilight of the previous evening and must be pollinated by night-active critters in addition to the ones that stop by the pretty blooms in the early mornings. 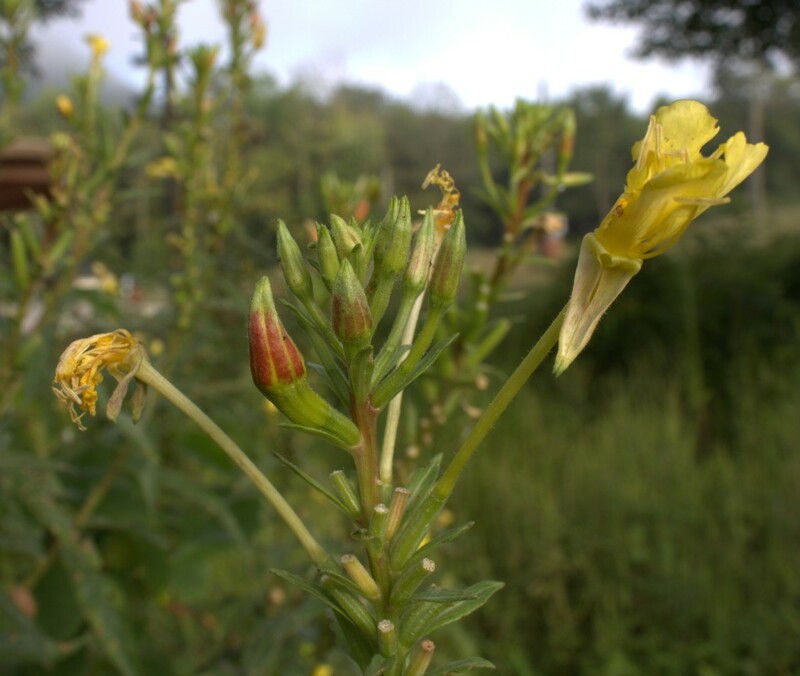 Even though individual flowers last for only one day, the whole evening primrose plant may bloom for a couple of weeks, depending on age and size, from June through September. Common Evening Primrose, Oenothera biennis, is one of those flowers that is beautiful singly or in pairs, as it likes to blossom in doubles. 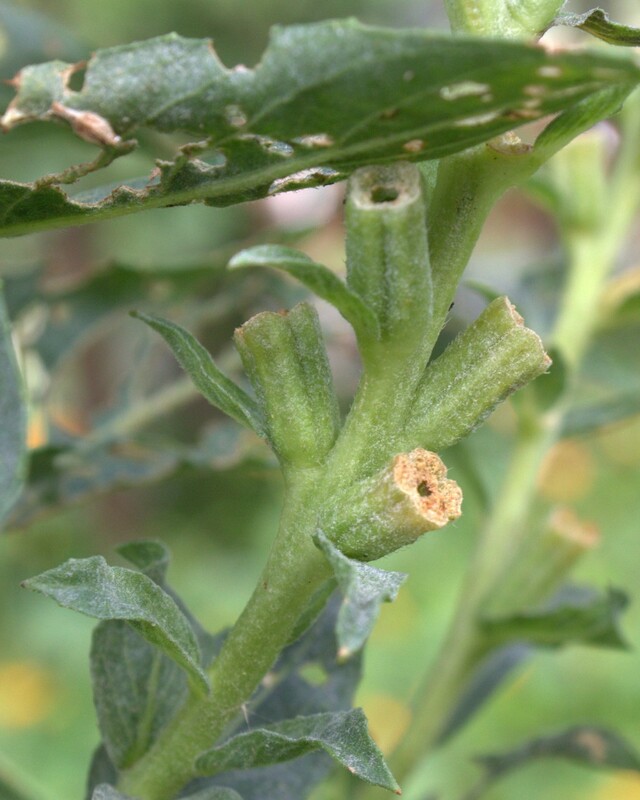 The tip of each plant shows the promise of future flowering with a cluster of flower buds and it shows past flowering with seed pods developing where pollinated flowers dropped off. Note the last-blooming, faded flowers. Each has a long calyx, like a flower “stem”, the base of which will transform from the ovary into a seedpod. The plants that were photographed here on August 23rd were first noted on August 2nd. Seed pods were present on the stems at that time meaning they had already bloomed for several days. First of all, it has a rather weedy appearance. The times we usually see it the blossoms are fading away or curled up and falling off the plant. 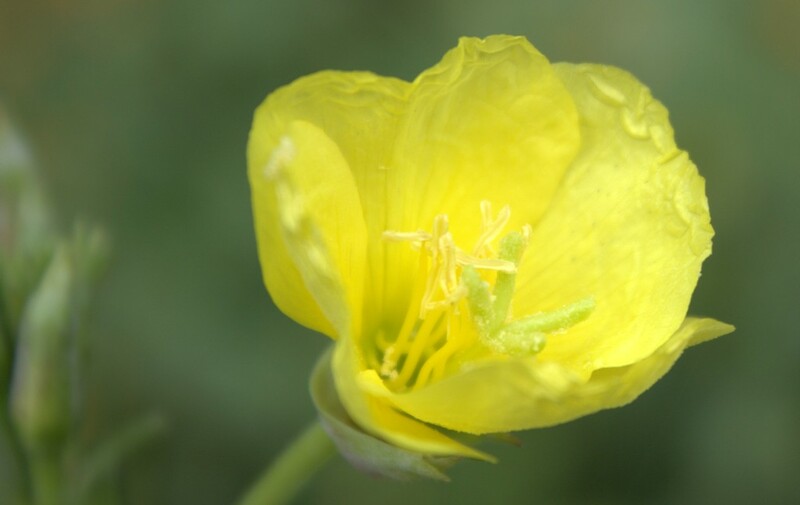 Note: If you’re into gardening and enjoy the chiffon yellow blossoms, a better choice would be another primrose called Sundrops, O. fruticosa, which blooms during the day. 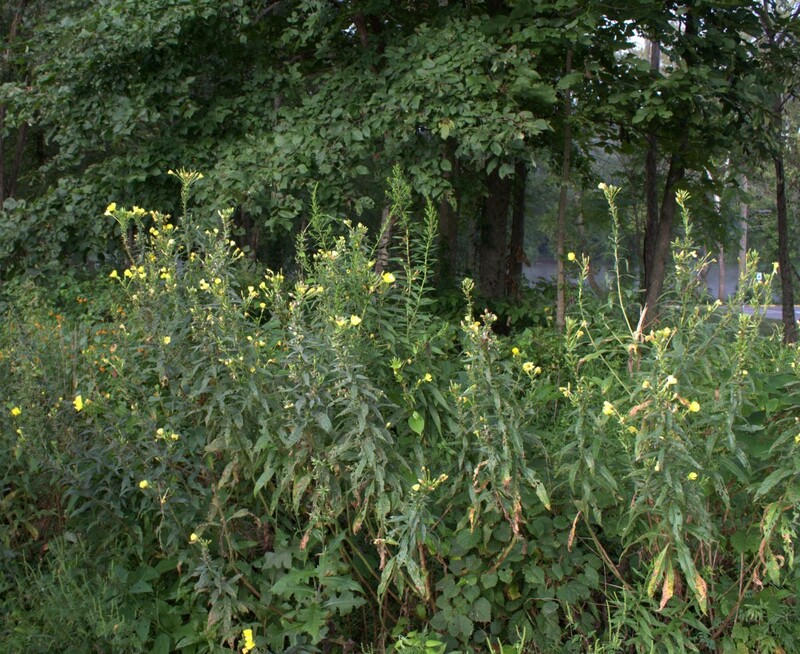 Secondly, the plant can range from 2 to 6 feet tall when it’s in bloom. 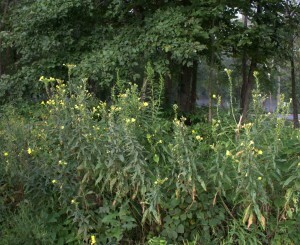 The evening primrose can still be found blooming as it shows off the lemony yellow flowers from June through September. Look for it in open, dry or sandy areas such as the edge of fields and along roadsides. HOLD up thy head, thou timid voyager ! Thy slender root, and try thy trembling soul. Than quiet bee, or gadding butterfly. Taking a flower on a voyage sounds like a lovely way to bring a little piece of home with you while traveling. I liked the way the Mrs. Sigourney spoke about the trembling flower being afraid of being out of her element. Rocking and rolling on the high seas and feeling the ocean’s spray might be a welcome delight for many of us, but think about it for a flower, as if it had a mind and soul. Wouldn’t it be so scary to somebody who has roots that held them fast to the ground? 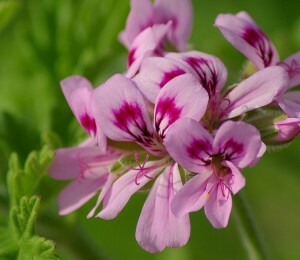 Her selection of a Rose-Geranium, Pelargonium graveolens, was a wonderful choice of companion. Its strong rose scent would enliven any state room and serve to be a reminder of home. Come back next Friday for the next installment in our series of flower poems from Mrs. Sigourney’s The Voice of Flowers, “The Emigrant Daisy”.